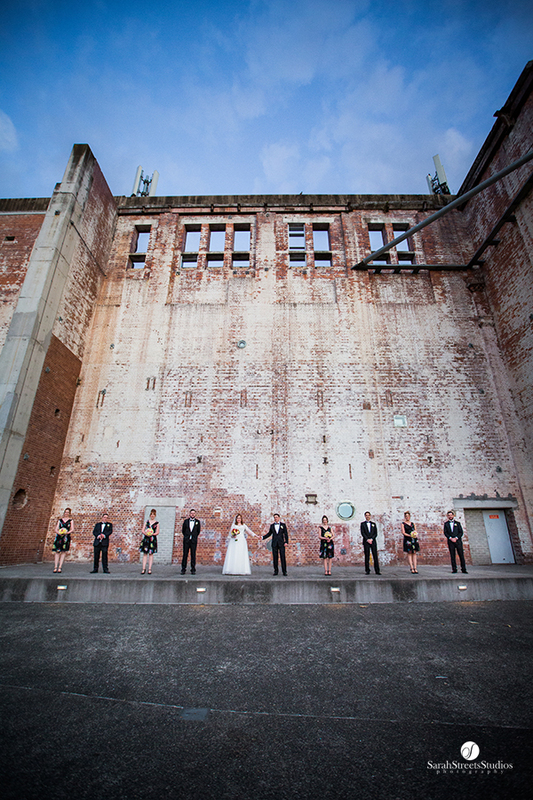 Their ceremony was held at All Hallows Chapel which has the stunning backdrop of the Story Bridge. 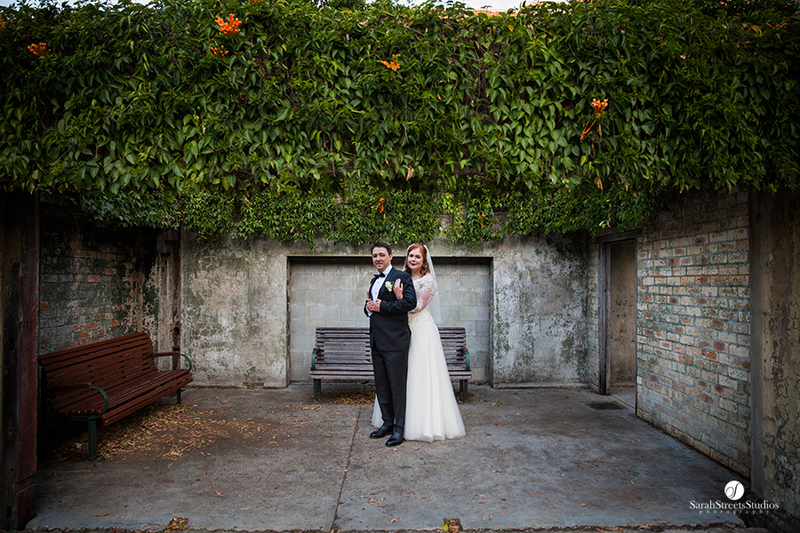 We took their wedding location photos at Brisbane Powerhouse which is such a versatile place as it also has New Farm Park in the same spot as well. 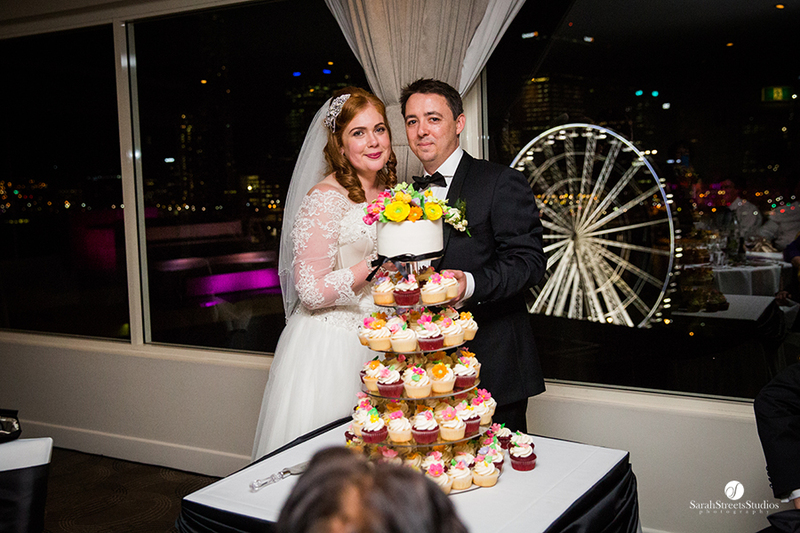 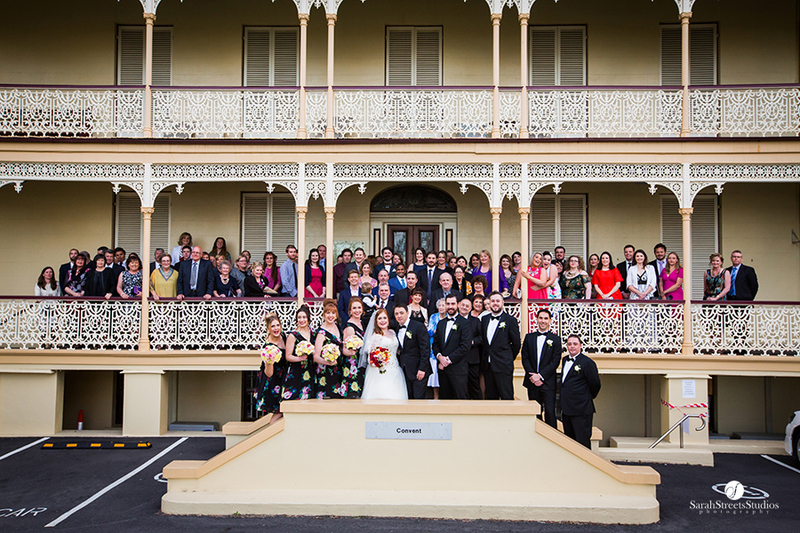 And their beautifully styled reception was held at the Rydges Rooftop Bar. 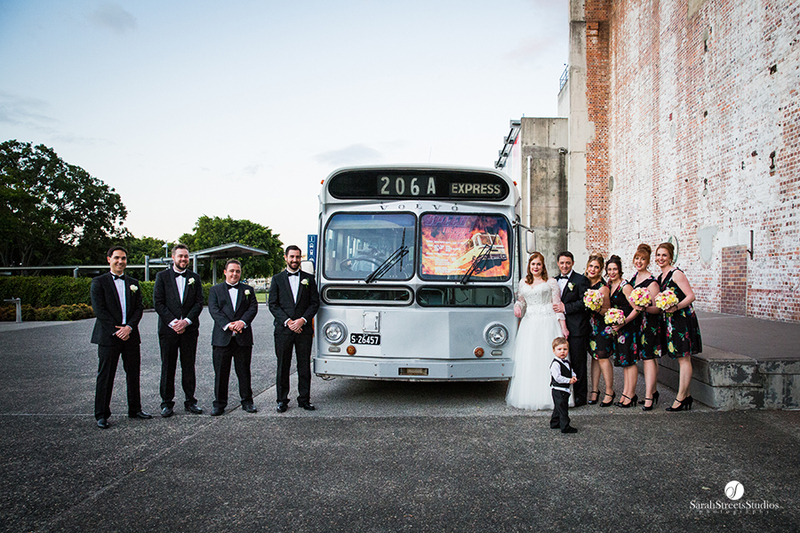 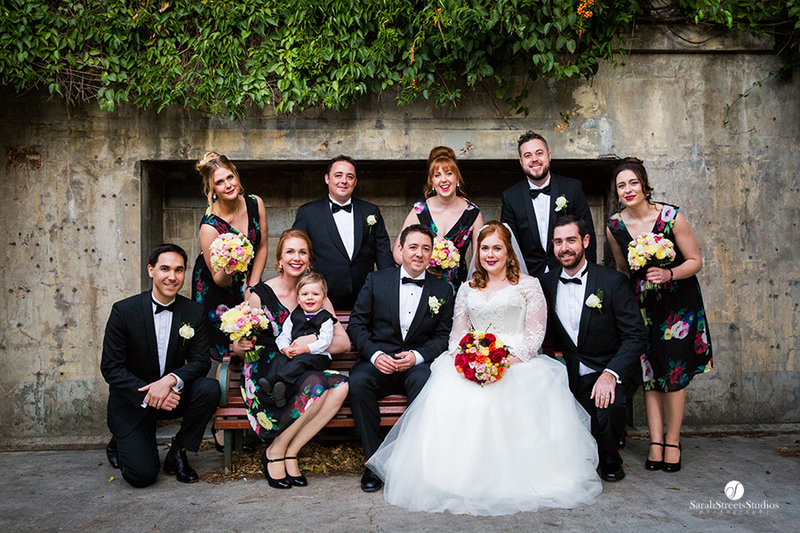 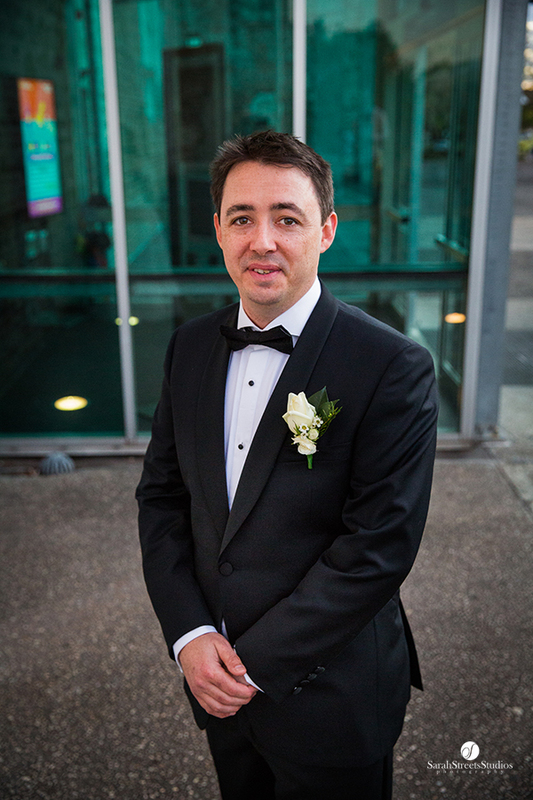 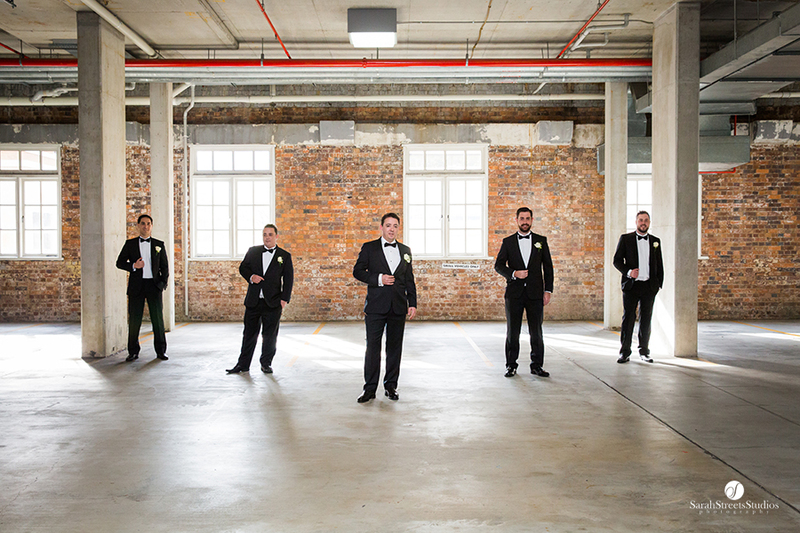 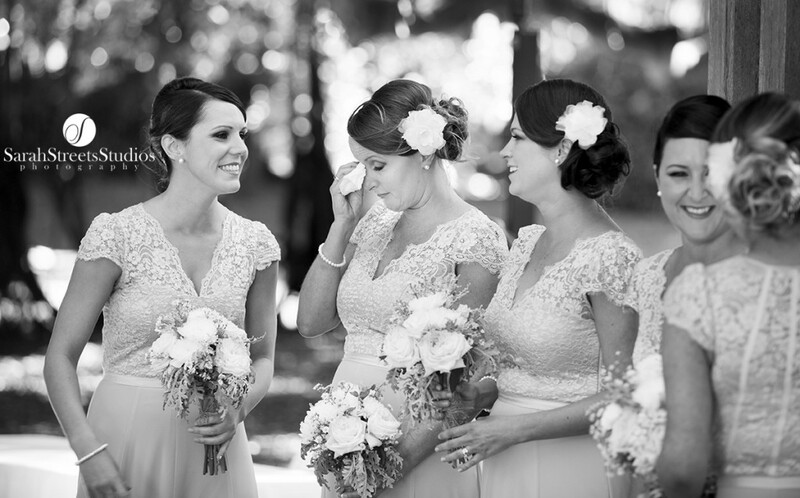 I hope you enjoy these beautiful wedding images that were photographed all over Brisbane. 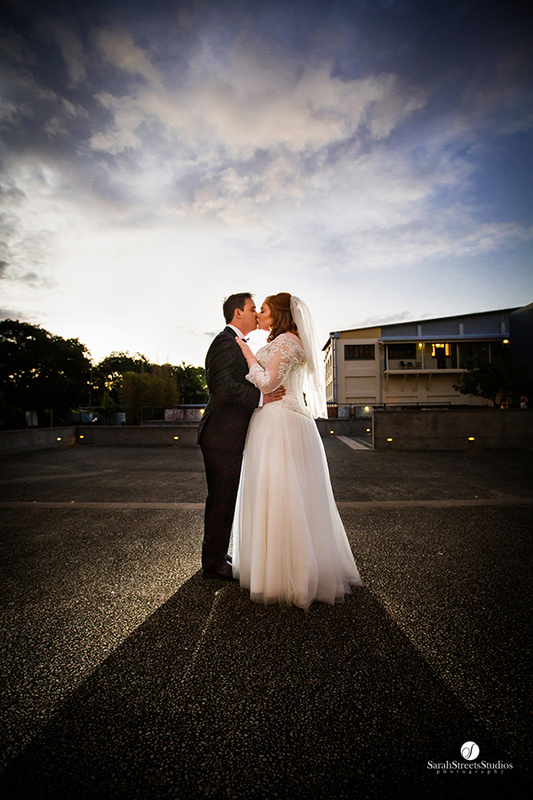 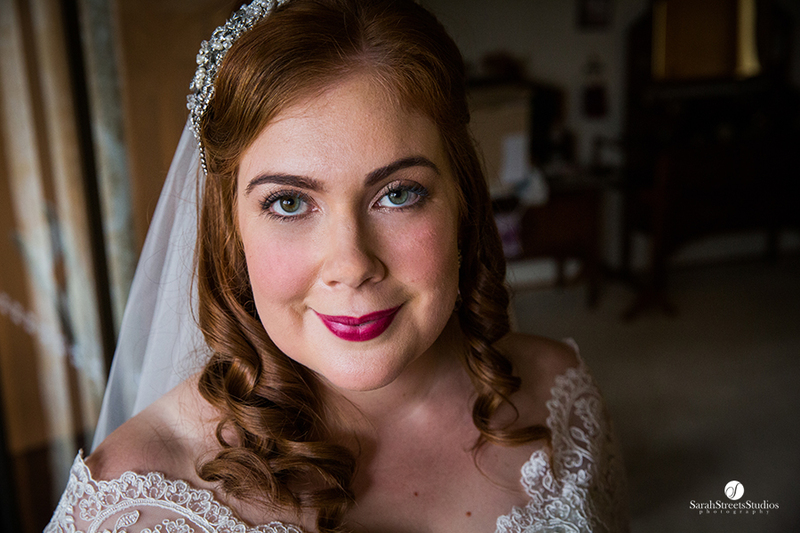 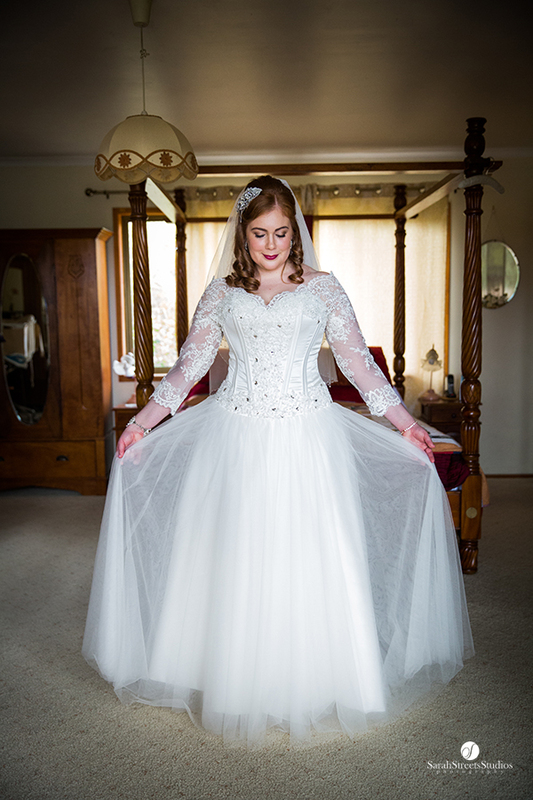 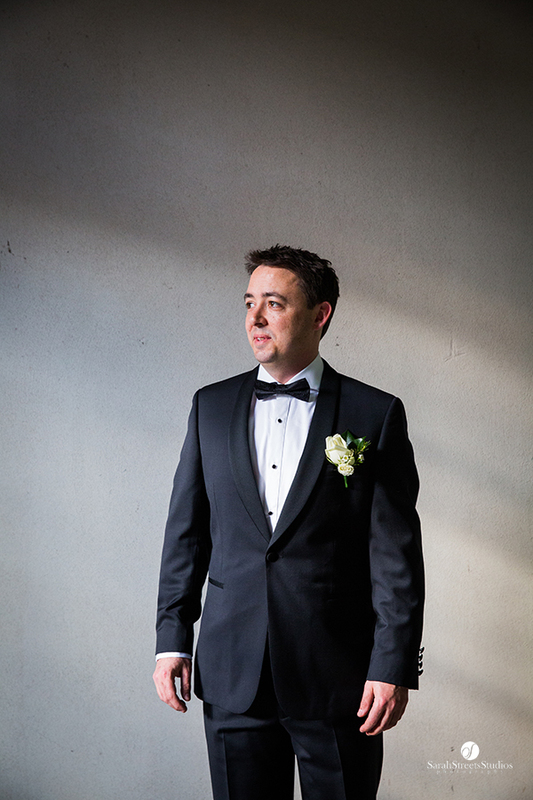 I photographed Catherine and Gregs wedding last year in Boonah, which is situated out west of Brisbane. 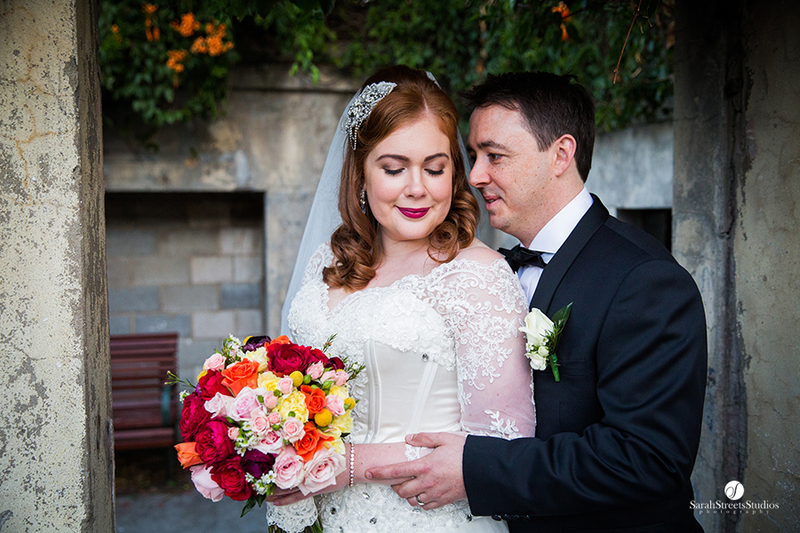 The first picture is the gorgeous Catherine herself (with her adorable boxer puppy named George). 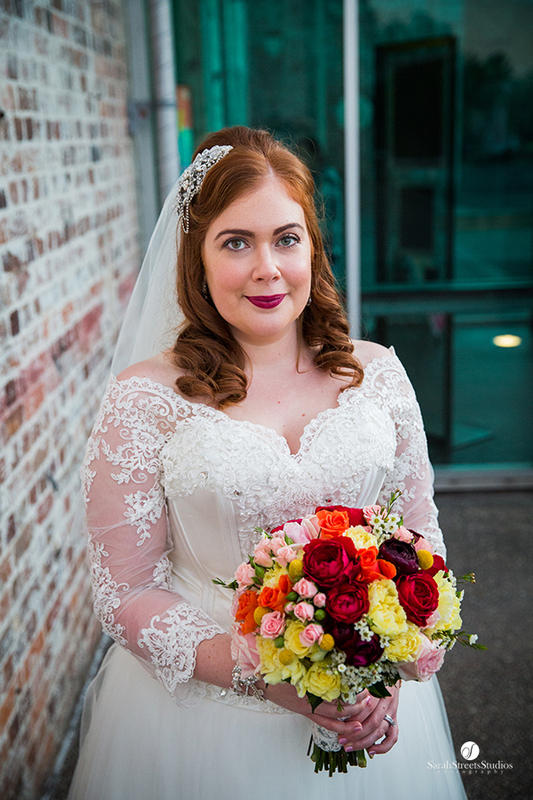 Catherine made this giant wreath out of pvc piping and fake flowers zipped tied to it. 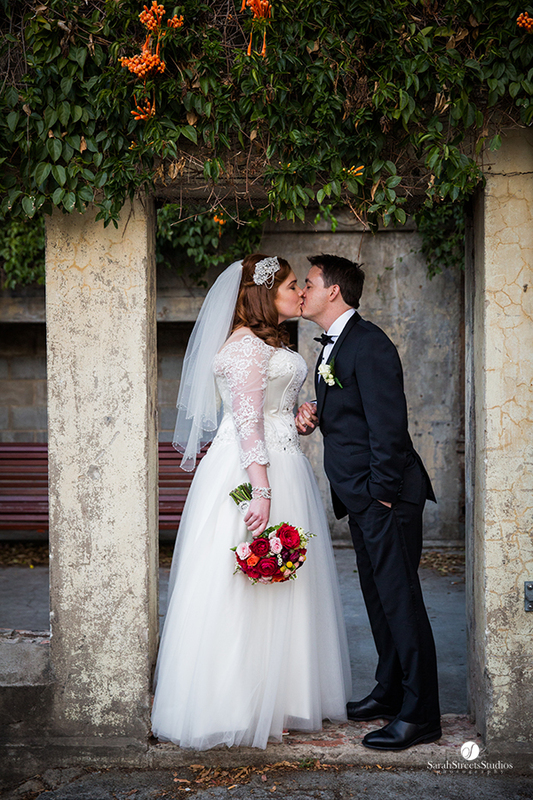 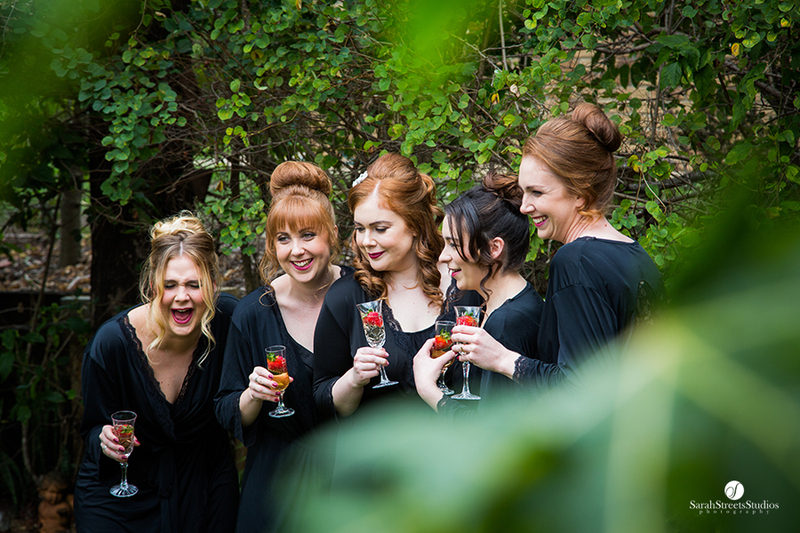 The second picture shows you how fabulous it looked on her wedding day hanging from a tree.